XENON is now offering WekaIO solutions. WekaIO is the world’s fastest parallel file system with the most flexible deployment options—on-premises, cloud, or cloud bursting. WekaIO Matrix software is ideally suited for latency-sensitive business applications at scale such as AI, machine learning, life sciences research, genomics, Big Data analytics, and any data-intensive technical workload. Matrix eliminates the infrastructure complexity, underutilized capacity and management nightmares created by legacy parallel file system architectures. The software-only solution is an NVME-native, fully parallel and distributed, POSIX compliant file system designed from the ground up to scale to thousands of compute nodes and petabytes of storage. Patented distributed data protection and integrated tiering to any S3, Swift or Ceph object based cloud ensure your data is safe and always accessible. Maintenance and management is easy through the intuitive Trinity software console. 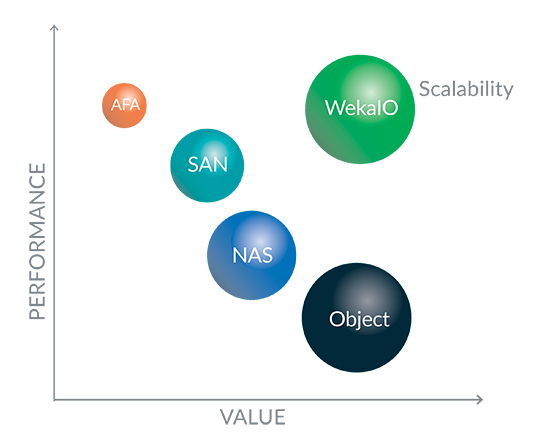 WekaIO’s hardware independent architecture can be deployed on-premises or in the cloud on any commodity X86-based hardware. Run it hyperconverged with the applications or on dedicated storage servers. Want to get the fastest performance to your AI and technical compute applications that need a shared storage platform? WekaIO Matrix is an easy to deploy software-based, scale-out storage solution that provides all flash performance on NVMe, SAS or SATA storage. Run our software on commodity server infrastructure; on-premises, in the public cloud, or hybrid and get NAS simplicity and manageability, cloud scalability, and breakthrough economics. Predictable and seamless performance scaling is a challenge with traditional NAS filers and scale-out file systems, especially for workloads with small files or random I/O. Matrix gives you fine-grained control to dynamically scale performance independent of capacity based on application needs. 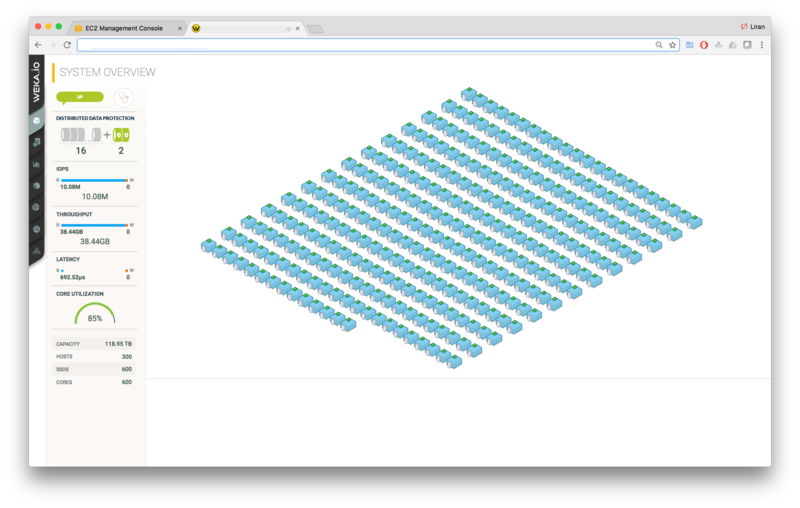 WekaIO can easily deliver over 4GBytes/second to a single GPU or CPU based server and scale performance across the cluster. The software can be deployed as a dedicated storage appliance or hyperconverged on Ethernet and InfiniBand networks. Visit XENON’s storage solutions page or contact us for more information.